and very high levels of polyphenols. 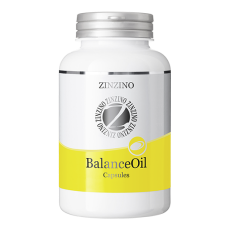 BalanceOil supports normal brain function1 and normal heart function2, and good for the immune system3. palmitate), vitamin D3 (cholecalciferol derived from plant extract). EPA and DHA have approved health claims for maintaining normal brain function1. For pregnant women, DHA contributes to normal brain development of the fetus and breastfed infants1. 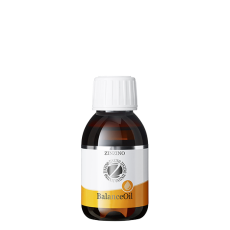 BalanceOil made from fish oil. 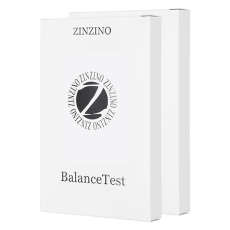 It safely adjusts and maintains EPA+DHA levels and the omega-6:3 balance in your body. Now everyone can get into balance! Vegan diets are often richer in some nutrients such as fiber, vitamin C and phytochemicals. But, these diets often lack some essential nutrients, including vitamin D and omega-3 fats. This means that it is difficult for vegans and vegetarians to get into omega-6/omega-3 balance, and equally difficult to ensure they consume enough EPA and DHA to get the EFSA-approved benefits of these nutrients. In population studies, it is shown that vegans have lower blood concentrations of omega-3 fatty acids than those eating animal based food..
For a vegan, these essential omega-3 EPA and DHA fatty acids can be obtained by eating fortified foods or carefully selecting a diet containing these nutrients, but it’s not easy. Supplementing with ALA has very little effect on increasing blood DHA concentrations because even if ALA can be converted into EPA and DHA in your body, this conversion is quite inefficient. The typical conversion rates are below 5% in women, and below 2% in men, so the problem remains. But now there is an easy solution for all vegans, vegetarians and actually anybody who wants an alternative to fish oils. Fish get their omega-3´s from cold water marine algae. These algae provide pure long chain omega-3’s that can be extracted and consumed by humans. 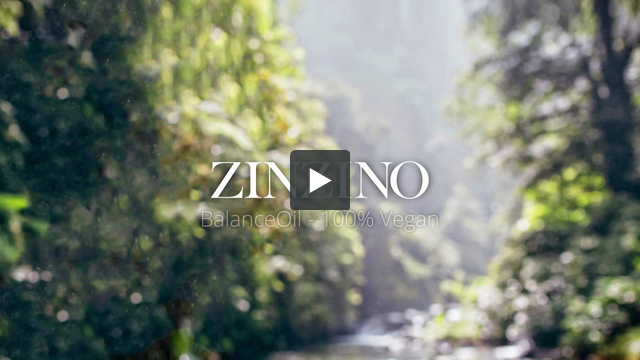 Zinzino BalanceOil Vegan contains this marine algae oil with omega-3 (EPA and DHA), high oleic sunflower oil (HOSO) and an echium seed oil rich in omega-3 (SDA and ALA), omega-6 (GLA) and omega-9 (OA). 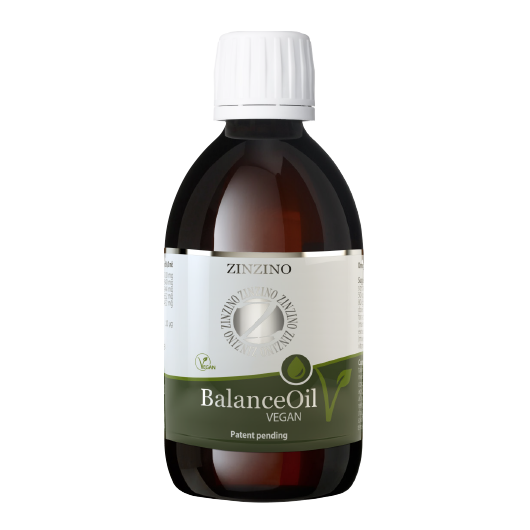 It also contains the extra virgin pre-harvest olive oil rich in omega-9 (OA) and with very high levels of polyphenols. It has a fair portion of the so important vitamin D from a 100% vegan source..
rosemary extract for flavoring, ascorbyl palmitate (derived from GMO free corn) and tocopherols (extracted from GMO free plant oils), to ensure stability. 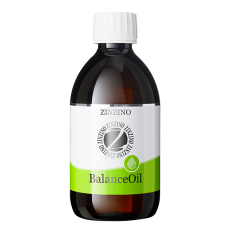 seed oil contains the rare omega-3 fatty acid SDA, which is converted five times better to EPA in the body than the typical plant omega-3 ALA, i.e. in flaxseed. But there is more. Echium seed oil also contains the valuable omega-6 fatty acid GLA, beneficial for balancing hormones and skin health! BalanceOil contains a special cold-pressed, extra-virgin pre-harvest oil from Spanish, GMO free, Picual olives. 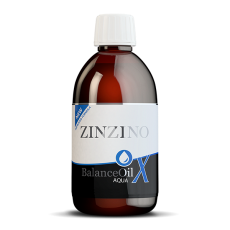 It is rich in omega-9 (OA), but is specially selected for its very high content of polyphenols (above 350 mg/ kilo)5. Polyphenols are powerful antioxidants with numerous beneficial effects. 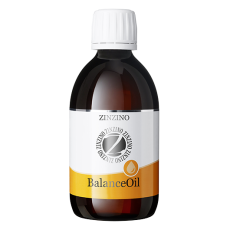 They protect BalanceOil in the bottle and, equally importantly, in your body. 0.1 ml BalanceOil Vegan x kilo body weight. Adjust serving size based on body weight. Adults with body weight 50 kg: 5 ml daily. Adults with body weight 80 kg: 8 ml daily. Do not exceed recommended daily dose.